Are we going to attempt a million dollar question every girl asks herself? Which eyeliner to use or purchase for those clearly defined eyes? We have rounded off Gel Eyeliners, Liquid Eyeliners to Sketch or Pencil Eyeliners to provide an easy to select the best one for your convenience. 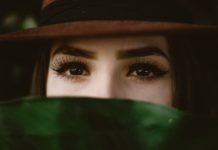 To flaunt those incredibly bold eyes and define them with precision, it’s really important to get the right eyeliner and excel your hands on it. Let’s quickly run around the categories of eyeliners available in Indian market and what to know about them. I will first start with gel liners- their features- effect and drawbacks. Apart from these, I will be dealing with pencil or glide on eyeliner in my other article. Maybelline Eye Studio Lasting Drama Gel Eyeliner is good but slightly less pigmented and after regular usage, the product feels to be drying and the brush becomes quite hard. Initially, I was elated with is gel liner within Rs 500, but after 20-25 days I felt the product is kind of drying and even leaves flakiness over eyes wherein you need to work for setting it. Order Maybelline Eye Studio online from Amazon, Nykaa or eBay stores. L’Oreal Paris Super Liner 24 Hour Waterproof Gel Eyeliner is quite high in pigmentation- it’s blackest among all four- moreover the texture is quite creamy and smudge proof that glides on easily. The brush is also better than Maybelline one. Good for any kind of eye makeup and are long-lasting. available at Amazon on discounts & Nykaa. Revlon Colorstay Crème Gel Eyeliner is pretty good if you love a glossy finish. However, I lose my heart over the matte ones, so though I have it in my vanity- I often am at bay. As far as texture is concerned it’s good well pigmented and have a creamy finish that keeps the product good to glide even after you kept it 2 months idle. Find this Revlon liner on Amazon or Flipkart stores online. I like the Inglot Matte Gel Eyeliners for their matte finish and shade variants. Best buy for gel eyeliner – highly pigmented that keeps the eye drama boosted. These high-intensity gel liners are smudge proof, waterproof and the darkest in their shades. Moreover, they are really long time- I left it once after a long night party and was at a place without any smudge in the morning after I woke up. The only drawback is they are quite expensive to burn a hole in a pocket. This blackest black liner is now available online on Amazon. 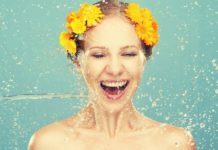 Believe me, they are never going out of style- if you are one who trusts on liquid liners for those brighter flicked eyes; here we are with the best take on liquid eyeliners in India. It’s advisable to shake the liquid liners well before application so as to mix the pigments well if they have settled down- quick trick. Inglot Liquid Eyeliner one is again great but expensive- if you can afford then this one is the best buy. Quick drying- highly pigmented and long lasting. Have a subtle shine and the brush is thin- long enough to draw lines without much effort. You don’t have to wait for drying it- so great if you have hooded eyes. Order online from Nykaa. 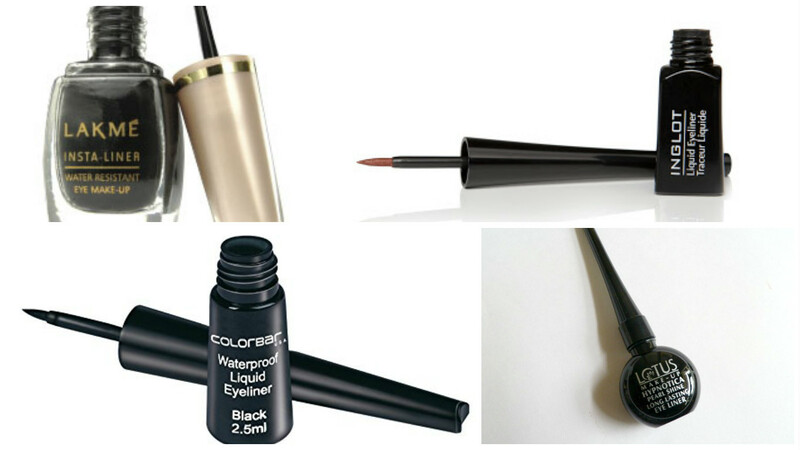 Colorbar Waterproof liquid Eyeliner – is my favorite in the list of liquid liners. I love it for the super glossy black finish. Intense pigments make it good to go even in one swatch. Applicator brush in the lid is fab enough to pro any eye makeup. All in all, this is one of the best buys. Darker pigments than other in the range. Buy these darkest eyeliners online from – Amazon or Nykaa. Lotus Makeup Liquid Eyeliner– comes in a cute oval bottle, with a thin application brush. Nice buy for eyeliner- the only problem is its brush. It gets scattered and hinders in drawing straight defined lines after few applications. Though initially, the brush was thin and long. Pigments are fine and the bottle dries up if not used for a month. Buy this from Amazon. Lakme Insta Eyeliner– this was the first eyeliner I have used in my school. The liner is good for a budget savvy – fairly pigmented. But washes off easily in few attempts and flakes off after 3-4 hours have to reapply. The only problem is its brush- nail paint kind of brush that’s not fine enough to excel defined looks. Buy this on Amazon or Snapdeal. These new sketch pens have really made it super easy to excel complex eyelid designs. 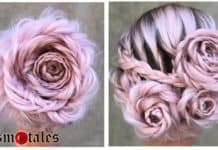 If you are the one excited girl who finds it difficult to work with steady hands over those eye curvature then this one is the best take. Quick trick- draws dots over the eyeliners and then connects it with these sketch liners. Let’s quickly hunt over Sketch eyeliners in India. Always remember to close the lids tight for feeling up liners as they tend to dry soon if left open. Colorbar Ultimate Eyeliner– this one is the winner in the game of feeling up liners. The intense black that gives the blackest black in just one swipe. The tip of the pen is longer than any other sketches in the Indian market and soft enough use. Completely smudge proof, water resistant and give incredibly black bold defined eyes.Buy colorbar ultimate pen liners from Amazon, Snapdeal or Nykaa. MAC Penultimate Eyeliner– The liner is almost jet black or charcoal. The tip of the Penultimate is soft and find that super easy to draw wings, cat eyes or any look. These felt up pens are smooth to glide on and full of intense pigmentation looks stunning but I won’t say it’s a value for money. As they tend to dry out really fast. Moreover, there are felt up liners in Indian market with same efficacy and in a much lower price range. Order these Mac Penultimate’s online from Amazon & Flipkart. Lakme Absolute Precision Liquid Eyeliner– unique smooth tip. 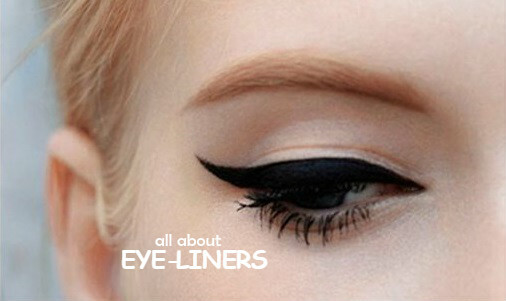 Jet black liner gives ready to go eyes in just one stroke. Long lasting about 6+ hours, smudge proof, nicely pigmented but can’t overshadow Colorbar one. 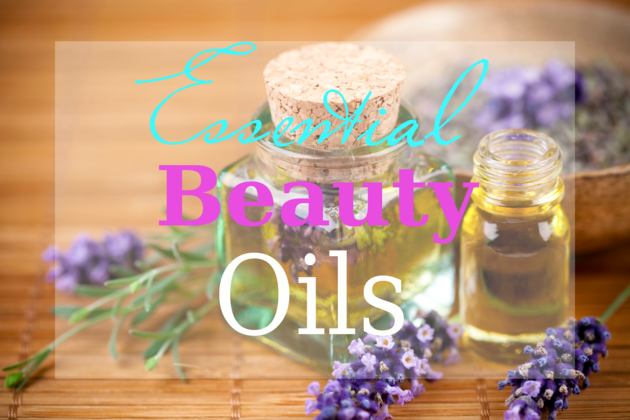 Buy them online on Amazon, Nykaa or eBay. 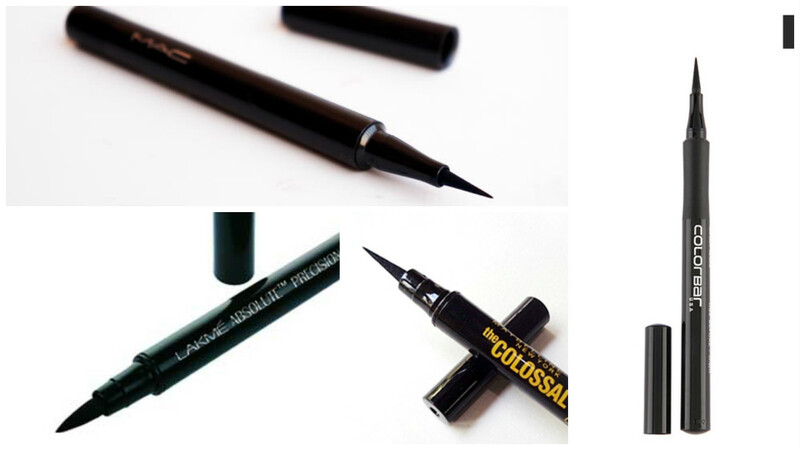 Maybelline Colossal Eyeliner– I would say it’s nice. Intense black good finish. The tip of the pen is long enough to easily use but it flakes after few hours of application. Though if you can reply it’s good to go. Amazon. 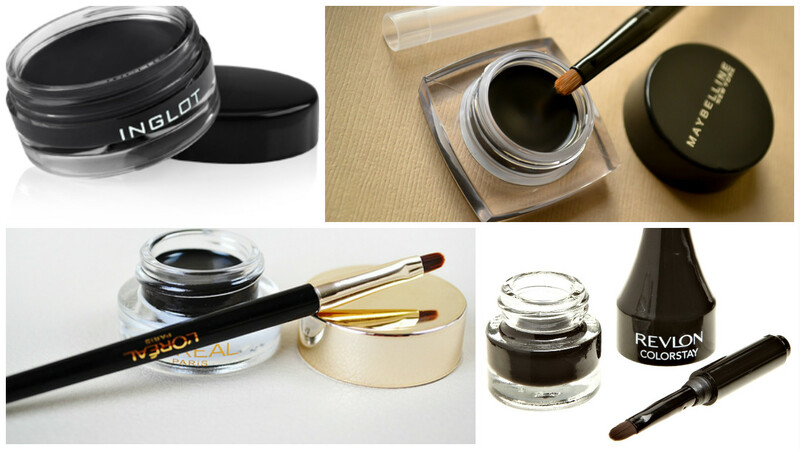 Hope this article would be helpful for you to narrow down on the best eyeliners to buy. I simply want to mention I’m beginner to blogging and site-building and definitely loved your web-site. Probably I’m going to bookmark your site . You actually come with amazing posts. Cheers for revealing your website page.